Pollen Party is a 720 ways Microgaming pokie based on the secret world of bees. The game features stacked wilds, free spins with special wilds, a pick until stop bonus and a 220,000 credit top prize. Honey is one of very few foods that never expire and thanks to the honey bee we also have other honey based products including some alcohols. 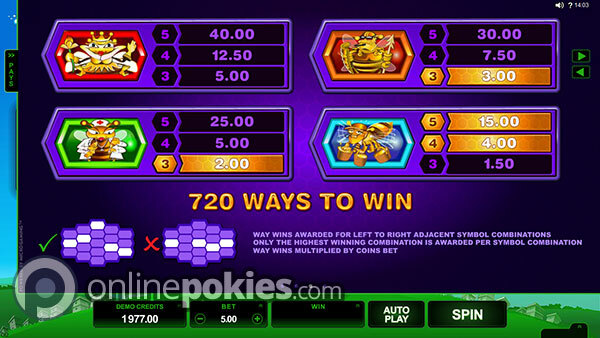 Pollen Party is a 720 ways pokie that pays tribute to bees and offers you the chance at winning a very sweet 220,000 credit jackpot. As with all ways based games you have a base bet which covers all ways. In this case 50 credits covers all 720 ways. 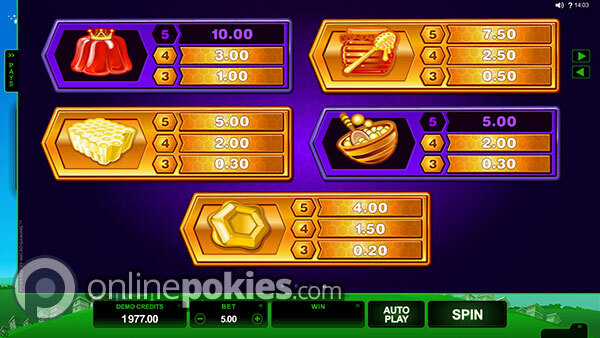 You can choose from coin sizes ranging from 1c to 50c and the min / max bet range is between 50c and a big $250 per spin. The Pollen Party logos are the wilds. They appear in stacks on the middle three reels with stacks of two on reels 2 and 4 and stacks of three on the middle reel. Getting a at least one wild on each reel awards the top way pay of 500 credits (plus any other way wins which are present. 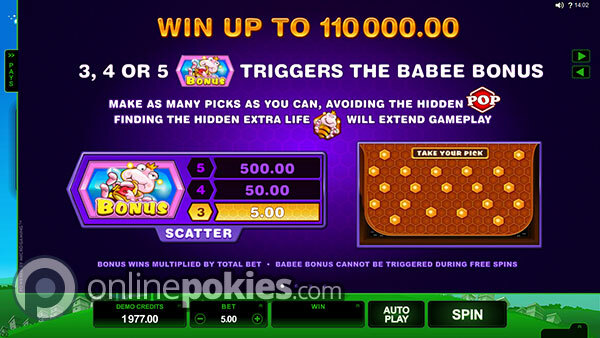 Getting three or more of the Babee Bonus scatters triggers the pick and win bonus. Select areas to win instant prizes but watch out for the Pop icon as this ends the bonus. Find a Babee Bee and you get a second chance if you then uncover the Pop icon. 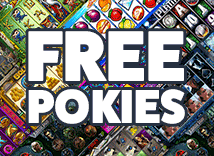 Win the free spins with three or more Free Spin scatters. You are awarded 12 free games with a special wild flower that is added to the middle reel. When the wild flower appears it adds between 1 and 3 extra wilds to the screen. The free games cannot be re-triggered.